Need a Last-Minute Gift? Check DealDash! Christmas is almost here! If you need a last-minute idea, here are some DIY ideas from DealDash. When you make a Handmade gift, it has a personal touch to it. Christmas is a time when people spend a lot of money on gifts for their family and friends. If you do not want to spend a lot of money on Christmas gifts, you can always make gifts for your loved ones. There are a lot of DIY Christmas gifts that you can do that has a special meaning to them. Here are a few DIY Christmas gift ideas, from DealDash. Washi tape is a creative way to add some style to your everyday items. One of the most creative gifts to give your loved ones this Christmas is a mirror with washi tape as the border. 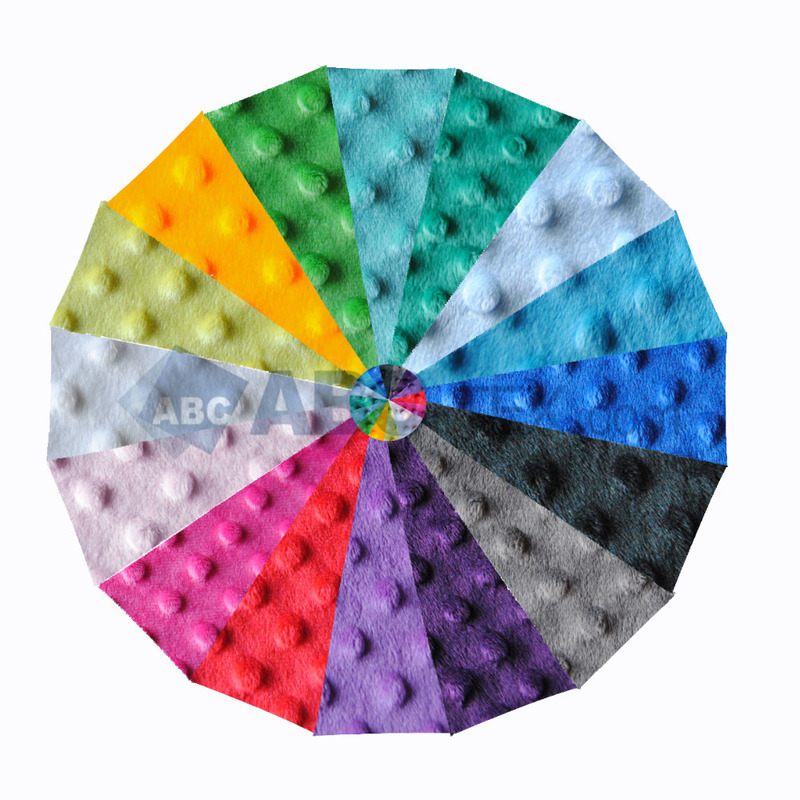 You can choose from a variety of colors. A good idea is to use your loved one’s favorite colors or find a washi tape with a fun pattern. A washi tape mirror is a great and affordable present to make for your loved ones. A tote bag is a cute gift that you can give to a friend or family member. They can use it to carry their books or magazines. You can go to stores like Walmart or Joann’s fabrics to choose fabrics that match your loved one’s style. Learning how to sew a tote bag is easy. There are tutorials online if you don’t know how to make one. Does your friend love glitter? Making a glitter coffee mug is perfect for a friend that loves to drink coffee and things that sparkle. Dip a coffee mug into silver or pink glitter. This will add some pizazz to an everyday coffee cup. You can buy glitter at an arts and crafts store. Another great DIY idea is to make your friend or family member a gift basket! DealDash has some amazing items that would be just perfect in a lovely gift basket. A good place to begin is in the Fashion, Health, and Beauty category on DealDash. Here you will find watches, perfume and cologne, bags, and gloves that would be nice for a gift basket for men or women. Just hit this link to check out the items in this category. Another category you will want to check out for your gift basket is the Home, Garden, and Tools category. Here you will find more items for men and women such as clocks, flashlights, bathrobes, and art. Any of these items would be a welcome surprise in the basket. You can see this category at this link right here. Finally, the perfect way to complete your gift basket is by adding in a gift card. Thankfully, DealDash has a category just for gift cards. You will find store, restaurant, and services gift cards here. Check them out right here! These awesome DIY Christmas gifts will bring joy to your loved ones. I hope these gifts will give you an idea of what to make your family and friends for Christmas. It is not always the price that counts because the thought is just as important. Thanks so much for reading this DealDash article on DIY presents that you can put together quickly. Don’t forget to check back often for new articles here. We love to hear from our readers, tell us what your favorite item would be to put in a gift basket! Do you need items to put in a gift basket? Go check DealDash for fashion and home decor. DealDash has the items you need. Visit DealDash now to see how much you can save. Have a great time on DealDash and happy bidding everyone! This entry was posted in Lifestyle, Seasonal and Holiday and tagged Christmas, Deal Dash, DealDash, DealDash Auction, dealdash auctions, dealdash.com, family, friends, gift, gift basket, holiday, present on December 20, 2018 by . Now that we’re heading into the holiday season many places hold a “Secret Santa” exchange. Here are some simple instructions from DealDash. A secret Santa activity is very common. It is a good way to save money on Christmas presents and make shopping easier. A secret Santa is when a group of people exchanges gifts. Some people may give gifts to family and friends that you usually don’t give gifts to. How do you start a secret Santa? Here are some tips for starting a secret Santa, from DealDash. The first step is to write down the names of participants on a piece of paper. If you are in a group of people that do not know each other that well, it is best to write some interests of that person such as someone that likes to knit or have other hobbies. Then you should cut out the names and put them into a hat. Make sure you fold the names and mix them up. It is important to set a price limit so no one will overspend or underspend. You can discuss the price limit with your group, or the organizers can come up with the limit. Try to choose a price limit that people can afford. It is best to choose an affordable price range than higher or cheaper. Many people choose to make the limit around $20. After you set a price limit, you draw names from the hat. The next step is to choose the date for buying the gifts. It is important to check with the group to see when they will have time to buy their friend and or family members gifts. After you set the time, you choose a gift. You can get something useful and practical such as kitchen supplies, coffee mugs, or a good book. The last thing you do is meet with your group and exchange gifts. If you need a secret Santa gift or two, who not get them from DealDash? There are some great choices of gifts for everyone on your secret Santa list. A very popular thing to give as a secret Santa gift is a kitchen gadget. DealDash has many! Just click here and you will be taken to the kitchen and dining category. Secret Santa is the best way to get closer to your group. Remember to keep the gifts practical. When you follow these tips your guests will enjoy your secret Santa activity. Thanks so much for reading this DealDash article on secret Santa. Don’t forget to check back often for new articles here. We love to hear from our readers, tell us what your favorite secret Santa present has been over the years. Do you need secret Santa gifts? Go check DealDash for home decor, gadgets, and more. DealDash has the gifts you need. Visit DealDash now to see the fun and useful items. Have a great time on DealDash and happy bidding everyone! This entry was posted in Home, Kitchen, Lifestyle and tagged Auction, Auctions, Deal Dash, DealDash, DealDash Auction, dealdash auctions, dealdash.com, gadget, get together, gift, gift exchange, holiday, kitchen, office party, party, present, presents, secret Santa, work on November 30, 2018 by . Do you have a friend, child, or other loved one that is having a birthday soon? Here are a few tips to make their day great! A birthday is that one special time per year where you are the star! Make your family and friends feel extra special on their birthday with these simple and fun ideas. You don’t have to spend a lot of time or money to make someone’s birthday extra special. Everyone likes cake on their birthday, but how about making your loved one a different (or extra!) treat this year? Just because we have a regular birthday cake doesn’t mean that we can also have the birthday person’s favorite dessert as well. This year on her birthday my daughter wanted brownies. So instead of getting a big cake like we usually do, we got a small cake, and baked brownies together as well. Instead of having a big slice of cake we had little slices of cake and little brownie squares. Some other delicious birthday treat ideas include cookies, cheesecake, and apple pie. Just because your family member is over 12 years old doesn’t mean that they don’t deserve a party hat. Make them a hat out of paper, or buy them a silly hat at the dollar store. You’re allowed to be as silly as you like on your birthday, whether you’re 8 or 88! Other fun hat ideas include princess/prince crown, cowboy hat, or big sombrero. Don’t forget the card! Now that just about every one of every age has email, I have noticed that receiving paper cards are getting more and more scarce by the year. I don’t know about you, but personally I save paper cards. It’s nice to look back a few years from now and see all of the well-wishes and cute cards that people picked out. You can get a card at the store, make a card with paper and markers, or if you are still stuck on the computer, how about making a card and printing it out? A paper card in the hand just feels so much more special than an email does. Last but not least, why don’t you get them a little present? You can find some great gift ideas and fun presents on DealDash. DealDash has items for people of all ages and stages of life. Just click right here and you can go browse on DealDash. Good luck and happy bidding everyone! This entry was posted in Uncategorized and tagged birthday, cake, cookies, Deal Dash, DealDash, DealDash Auction, dealdash auctions, dealdash.com, desserts, family, fun, games, gift, kids, party, present, treats on September 22, 2016 by . Minky is one of the softest fabrics that you can use. 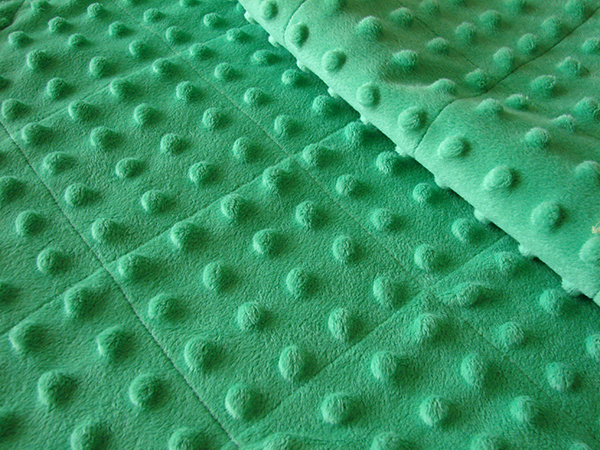 Minky is a very common fabric to make into baby blankets, and here is one very easy blanket that you can sew yourself. I absolutely love to sew. I make anything and everything, from baby bibs to dresses to baby blankets. I love to make patchwork quilts, but they are just too time consuming if you want to whip up a quick baby blanket for a gift at a baby shower. Making a blanket from minky and printed cotton is a quick and easy project that you can complete in a weekend – or less if you don’t have any interruptions! About 200 inches of bias or binding tape – Please note that 1 yard of fabric is always 36 inches long, but the width usually varies between 32 and 60 inches. Most fabrics are available in widths of 45 inches and 60 inches. So depending on the particular fabric that you have selected for your project the width can vary. So please measure your fabric to figure out how much binding that you need. Lay your printed cotton fabric pattern side down on a clean and clear area of the floor. If you would like, you can draw a pattern on the blanket that you can sew, such as swirls or whatever you feel comfortable with doing. If you don’t want to do that extra step, then you can just sew through the blanket from one edge to the other, twice vertically, and twice horizontally. This is just to make sure that the inner batting doesn’t move or get bunched up when you’re using it. Wasn’t that easy?! I am in the process of making one for my little 7 month old baby, his nursery is nautical patterned, heavy on the whales. I couldn’t find a blanket that I liked that had whales and was soft enough for a baby blanket, so I decided to make my own. DealDash has great sewing machines up for bid. DealDash has both of the most popular brands, Singer and Brother. Get yourself a new sewing machine on DealDash. Just click this link right here and it will take you to DealDash. Good luck and happy bidding everyone! This entry was posted in Uncategorized and tagged baby, bedding, blanket, cloth, Deal Dash, DealDash, DealDash Auction, dealdash auctions, dealdash.com, infant, kid, present, sewing on September 16, 2016 by .